Remember the floating mountains scene in James Cameron’s “Avatar” and you were as amazed as Sam Worthington and Joel Moore’s characters? What if we told you that those fictional mountains existed on planet Earth and not on Pandora? 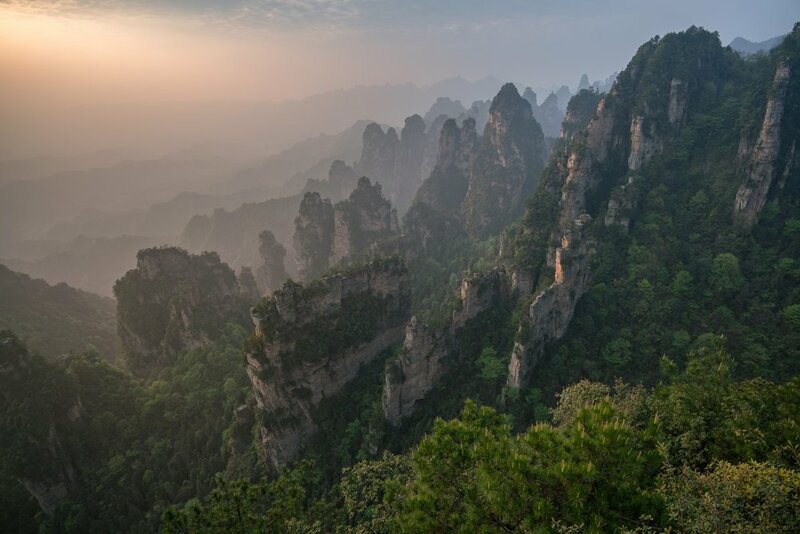 Zhangjiajie National Forest Park in China is where the movie shot that scene, and with a little added touch of movie magic, the mountains seem to be floating with waterfalls falling down the sky. Although most movies these days are shot in a closed sound stage, there are certain productions that venture out to the real world to find the perfect location for their movie. Be it a mansion, an alleyway, or even a bench like in “Forrest Gump”, these locations really do exist and are often accessible to the public. Here are some of the most famous movie locations that people can visit. 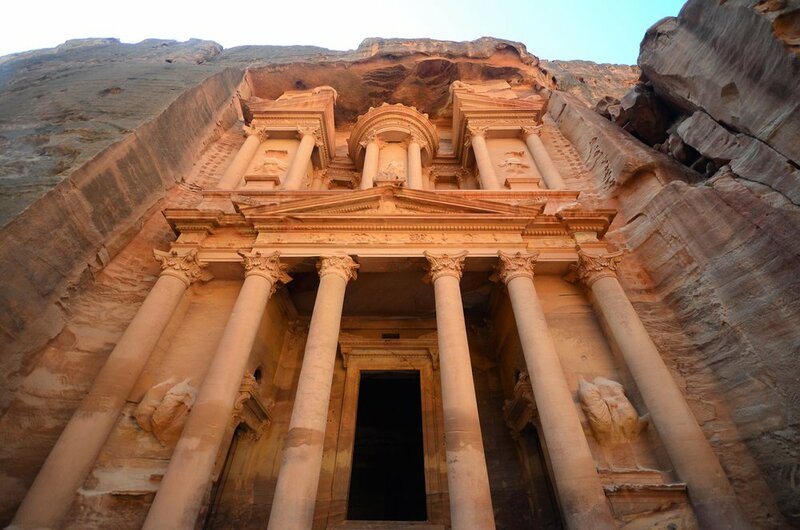 Al-Khazneh in Petra, Jordan is seen in the third “Indiana Jones” movie where our beloved archaeologist-turned-hero must enter to acquire the Holy Grail. Today, the temple is one of the Seven Wonders of the World and is a main tourist spot, not only because of its brief screen time, but also for its intricate exterior design where tourists can take pictures of. There are many locations in the United Kingdom that served as a set piece in all eight “Harry Potter” movies. One of them is in Gloucester Cathedral where it was used as Hogwarts’ hallways where students of the wizarding world wander about to get to class. The hallways were prominently featured in three movies which are “Harry Potter and the Sorcerer's Stone”, “Harry Potter and the Chamber of Secrets”, and “Harry Potter and the Half-Blood Prince”. Fans know New Zealand was the background for all the “The Lord of the Rings” and “The Hobbit” movies. Matamata, Mount Ngauruhoe, Mangawhero Falls, and basically every other place in the country served as a location for the blockbuster hit. One of the most famous one is of course Hobbiton, which doubles as the fictional The Shire where the hobbits live. After the series ended with “The Hobbit: The Battle of the Five Armies” in 2014, Hobbiton is now a tourist attraction where parts of The Shire are still intact as seen in the movies. While the first three “Mad Max” movies were shot in Australia, the latest instalment moved production to Namibia. Namib Desert is used to create the post-apocalyptic world believable with people in dystopian fashion driving about in ridiculously customised vehicles. Now, the desert is officially the oldest in the world at 55 million years old. Skellig Michael is one of two islands of Skellig just west of County Kerry which was a Gaelic monastery founded in the 7th century. The island was first teased at the end of “Star Wars: The Force Awakens” and then featured prominently in the follow-up, “Star Wars: The Last Jedi”, where Rey and Luke Skywalker first meet. 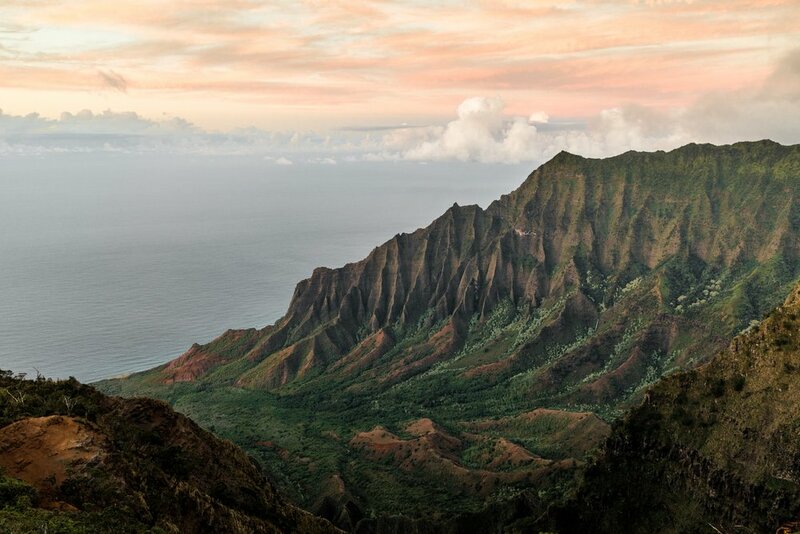 This oldest Hawaiian Island is seen in the Jurassic Park franchise including this year’s “Jurassic World: Fallen Kingdom” where ancient dinosaurs roam around and inhabit the place. Although the island is inaccessible to tourists today, you can still view it closely via a helicopter ride. Have you spot any real-life places in the movies you watched? Or have you been to any? Share wit us in the comment section below.